CIS provides an adult education instructor to teach these classes Tuesday and Thursday mornings. The classes assist CIS participants with graceful facilitation of assimilation over time, bringing the varied immigrant cultures of the San Fernando Valley together through universal communication in a friendly, relaxed environment. 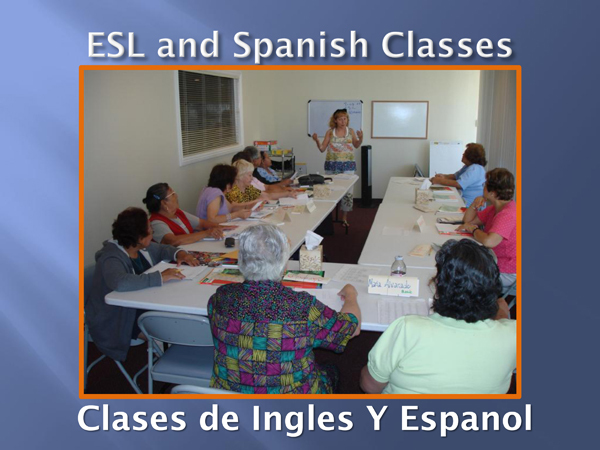 The CIS Latino Club of older adults has been engaged in ESL classes for the past several years. Meanwhile, bi-lingual bingo and staff translation during program time assist participants with integrated lifelong learning opportunities and activities. The Drama Club performs La Pastorela en Espanol during the holidays with an English Speaking moderator. A volunteer instructor tutors students in Spanish literacy.